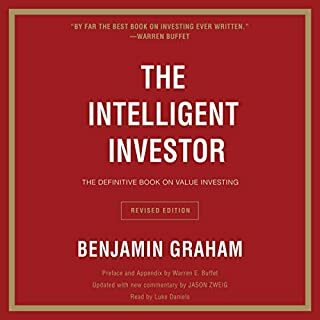 One of the most important works ever written on investment theory, Common Stocks and Uncommon Profits lays out the fundamental principles of intelligent investing. 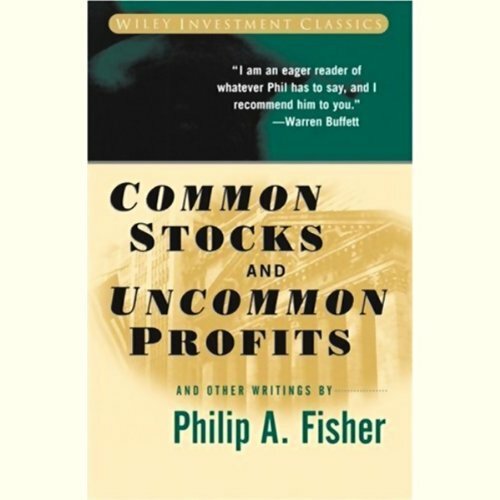 Widely respected and admired, Philip Fisher is among the most influential investors of all time. His investment philosophies are not only studied and applied by today's finance professionals, but are also regarded by many as gospel. He is a pioneer of modern investment theory. ©1986 by Philip A. Fisher (P)2000 by Penton Overseas, Inc. Published by Penton Overseas, Inc. and Audio Scholar, Inc. 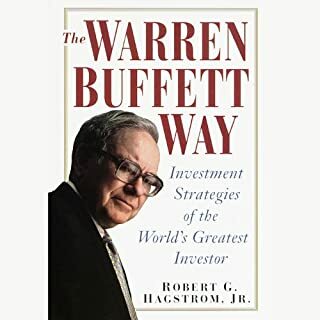 Gives a useful and accessible summary off his investment philosophy/ approach. Would have been great to have more details on implementing. Worth listening to periodically as a refresher. 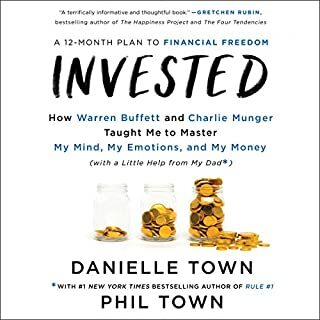 This book provides some interesting ideas on how to manage your investments, but as another reviewer has already stated, some of the strategies are not easy for the individual investor to employ. I don't think I'll be able to meet the bankers of the companies I am investing in anytime soon! 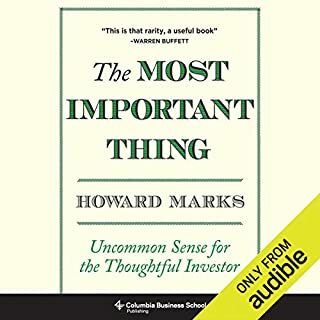 So, I would not put this at the top of my list of investing books to recommend, but do not completely pan it either. 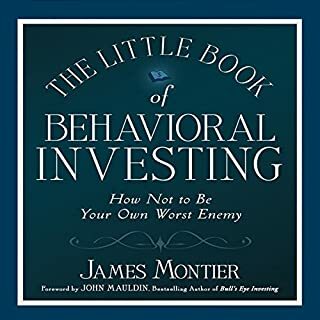 The author does espouse a long term investment strategy and offers what appears to be some sound advice for choosing investments. One particular bit of advice was a set of 14 points, some of which can be used as a screen to look for potential investments. 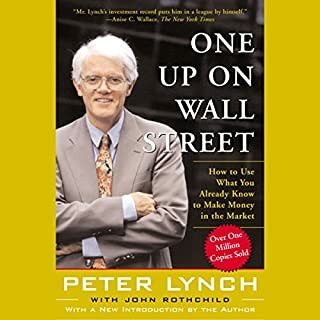 If you have not read (or listened to) "One Up on Wall Street" by Peter Lynch, that is a work I highly recommend. I thought the book was useful, but I struggled with the reader's voice. This book took me much longer than I anticipated because I had gotten lost in the monotone voice. I had to rewind and review parts multiple times to get it. 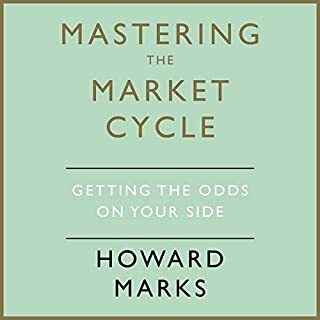 I ultimately used a summary to help me get the jist of the book, which helped me the most. Good enough, but would rather wait for a complete version instead of the abridged one. Some interesting insights but too short. would love to have the unabridged version of the book. 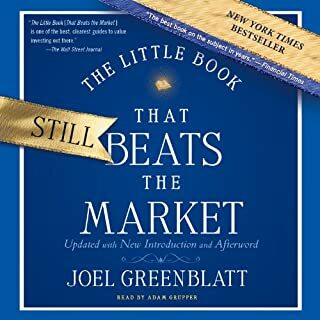 I went through the top list of investment books, but now that I got to this one, I feel like it has the most information. Very well written and structured without repetitiveness like other 12 hour books. 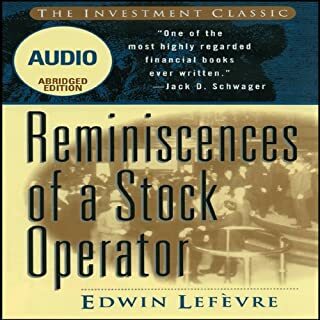 Even though its from the 1996s, I would recommend it in 2017 to any investment seeking friend. 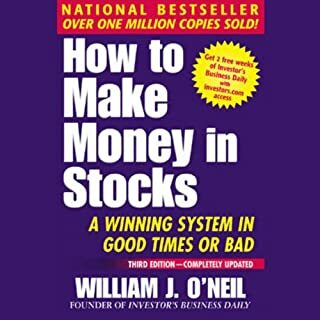 This book was definitely one of the best books on stocks I've read. 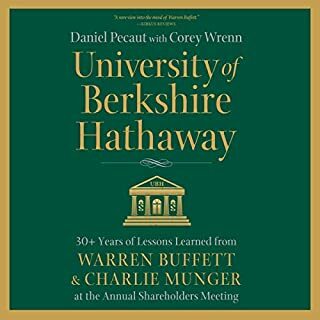 It's easy to understand easy to follow, the narrator is great, you can apply all the knowledge right away and it's values seem to be timeless as an investor. I really enjoyed the book and will listen many times more!!! 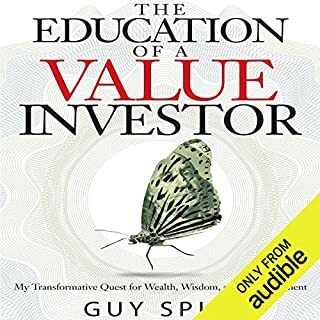 If you are interested in value investing this is surely a read for you. 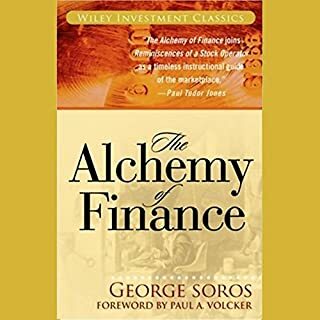 This book covers many topics of investing. 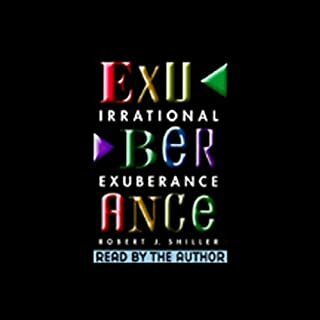 I love George Guidall as a narrator, but I didn't care for the book. The 15 steps to analyze a stock seem good in theory, but who really shows up in person to a business? It was just not my cup of tea. I much preferred A Random Walk Down Wallstreet and A Beginners Guide To Investing. The author identifies 15 characteristics of good companies for investment in companies that can pay off big over 25 years. Identification of good management is a key theme. If a company is to grow a few hundred percent or more, much more, over 25 years, does it really matter that much if you pay an extra 50 cents per share now? That, let us say 1.5% higher price on a good company that will continue to grow could cost a few hundred percent. Good companies rarely fall to bargain prices. 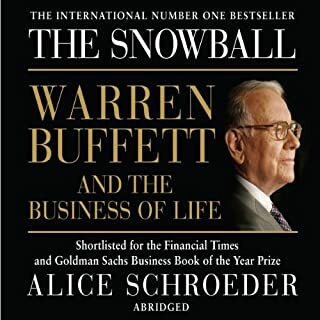 This book is one of Warren Buffet's favorites, and when it comes to the recommendation within to perform "Skuttlebutt", Warren certainly does. 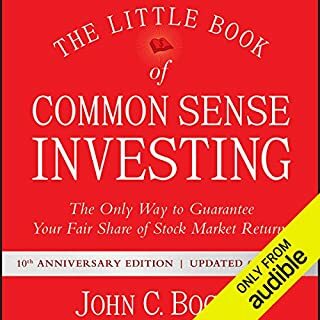 It is a good companion to The Intelligent Investor, another classic worth re-reading. Would you listen to Common Stocks and Uncommon Profits again? Why? 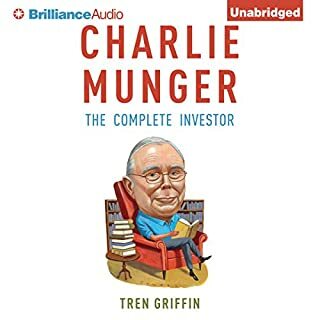 Yes... it is easier to get it all if you listen to a book like this more than once. The narrator's voice lacked much energy, and that made it hard to keep focused and listen. I undoubtedly missed several things and am listening to it again. I found that if you set the setting to 'fast' on your player, it makes it a bit easier to pay attention. Early in the book, Mr. Fisher lays out his 15 principles. After that, he can continue to refer back to them throughout the text as needed. Increase the energy (significantly). The narrator seemed very bored with the material, and it showed. I would rate this an high beginner/low intermediate for investors. 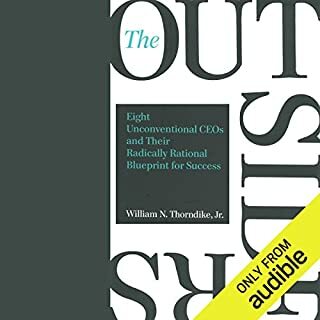 Some of the information is relatively outdated (individual investors rarely go talk to management, and information is much easier to come by via the Internet and Regulation FD than finding employees or suppliers to visit with, for example), but the principles are still quite good.